Today I've been working on a few masculine card sets to sell using one of my favorite sets by Stampin' Up! "Traveler". I love the vintage feel of the images and what man doesn't LOVE trains and ships, right?? My set consists of a Z-Fold Birthday Card, a Gift Card Holder, a Reflection Technique Card, and a Watercolored Background World Map Card. I really love them all and I hope you will too! 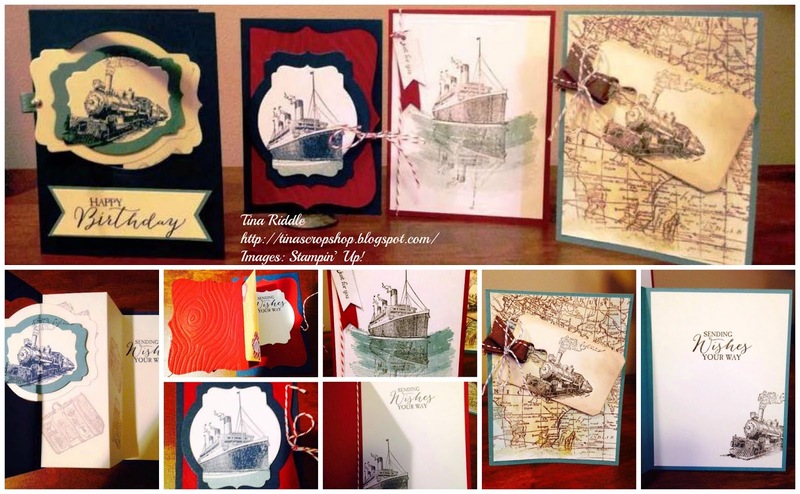 If you are interested in any of the Stampin' Up! Products used, below is a list.